The new Razer Phone 2 launched recently, the handset has had a range of upgrades over the original handset. The design of the handset is similar to the original device. 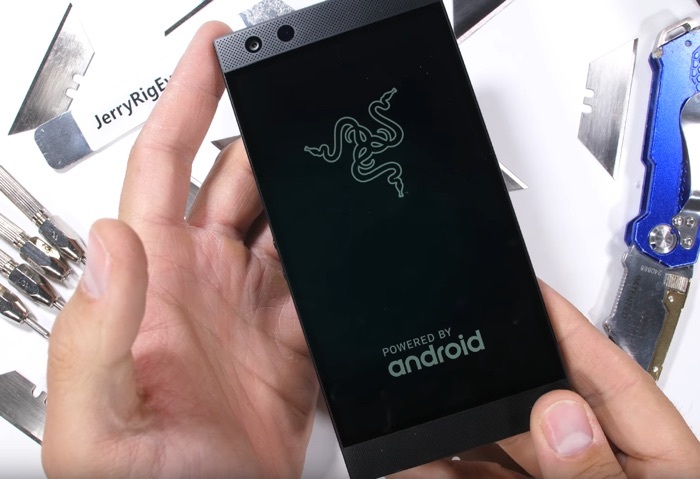 Now we have a video from JerryRigEverything where the new Razer Phone is put through a number of tests, this include a bend test, scratch test and more. As we can see from the video the handset performed well in the scratch test with scratches appearing at level 6 and 7, the handset uses Gorilla Glass 5. The device also performed well in the bend test and the burn test. The Razer Phone 2 comes with a a 5.72 inch IGZO LCD display with a QHD resolution of 2560 x 1440 pixels, a Snapdragon 845 and 8GB of RAM, plus 64GB of storage. The device features dual rear cameras, there are two 12 megapixel cameras on the back and on the front there is single 8 megapixel camera for Selfies and video chat.